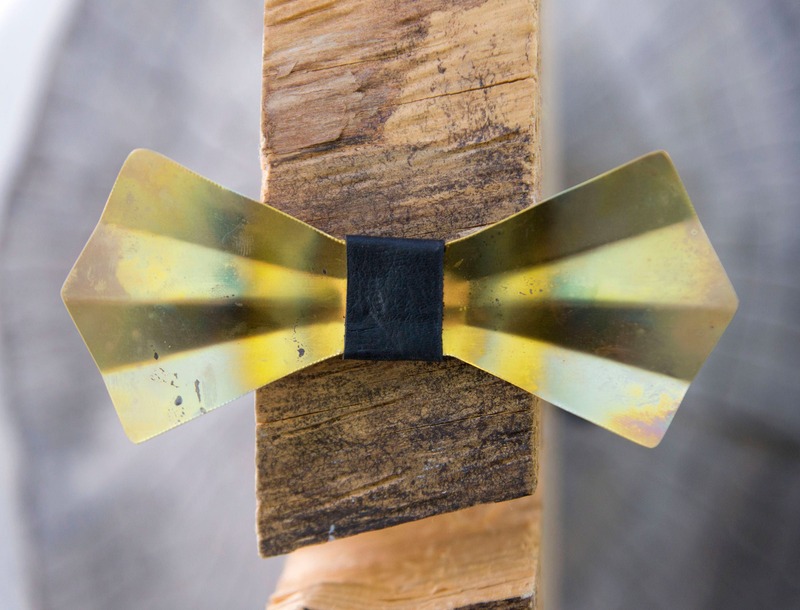 Brass Metal Bow Ties are next step in the Wooden Bow Tie Trend. With the look of gold it's a STAND OUT pieces that is truly unique. Brass is trending n home fixtures right now, so it stands to reason that it should also become a fixture in your wardrobe! 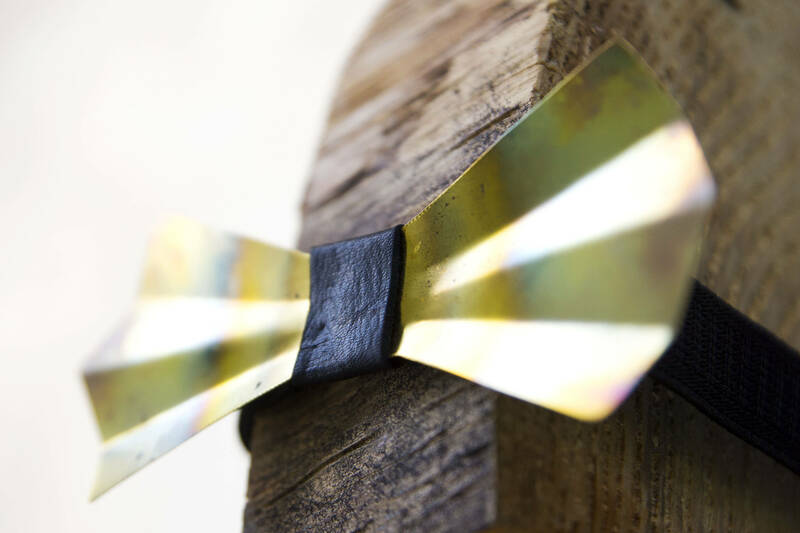 This bow tie is hand cut from Brass and uniquely heat treated. We then take the bow tie and add an easy to adjust elastic strap. After that it's ready to be packaged up and mailed straight to YOU! *The edges have been smoothed, so they are not sharp. However, since the metal is hard and thin, and children can be a little rambunctious, we do not make these in kids sizes. 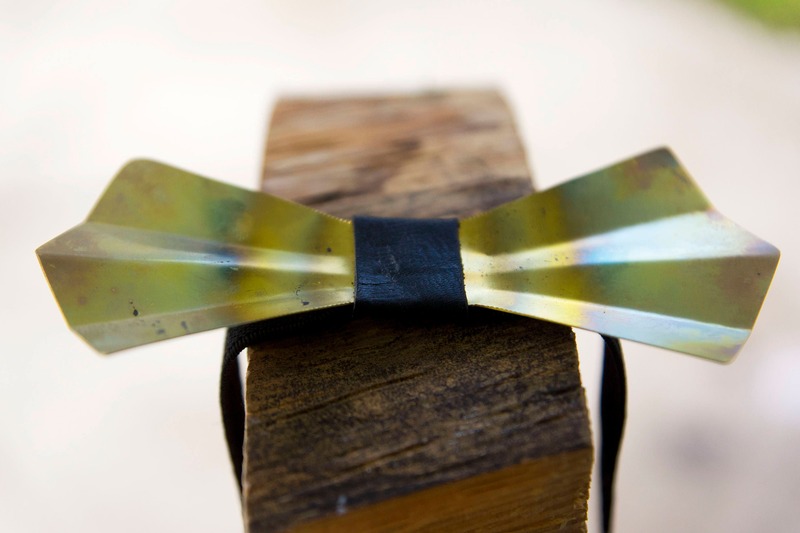 **Due to the bow ties' handmade nature - product may vary slightly from the bow tie shown in the photo.